Need a better way to organize your photos? If you have a DSLR camera the PhotoGPS by Jobo is a great way to geotag every photo you take quickly and easily. 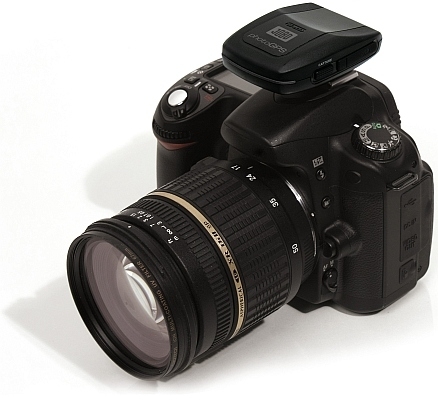 The PhotoGPS dongle attaches to the camera's hot shoe, and is automatically activated every time a picture is taken. Once the photos are loaded on a computer, included software quickly and easily matches up each photo with its recorded location. This software allows photos to be displayed on a map, and even use reverse geo-coding to add a variety of other information about the location in which the photo was taken. In short, PhotoGPS is a quick, easy way to geo-tag all your photos with detailed location metadata. A DSLR with PhotoGPS attached. LightSquared is pressing ahead with its roll-out plans despite objections from leading GPS receiver manufacturers as well as organizations which depend on GPS-based navigation. Jim Kirkland, Vice-President of navigation equipment manufacturer Trimble, stated that despite continued revisions of its network design, LightSquared is no where near proving that its technology is safe and will not interfere with GPS signals. “Government tests conducted at the direction of the FCC and NTIA and reported on December 14thconfirmed yet again the depth and breadth of the serious GPS interference problems raised by LightSquared’s proposed plans, even after several revisions LightSquared claimed had ‘solved’ the interference problem. 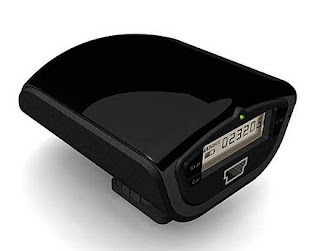 As far back as June, LightSquared has been downplaying GPS interference concerns, insisting that LightSquared and the GPS devices consumers use every day in their cars, trucks and boats, and used to make air travel safer to prevent loss of life in aviation accidents could coexist. The results are in – there are substantial risks to all of these everyday activities. “This is on top of proven, undisputed interference to hundreds of thousands of high-precision GPS devices used in critical economic activities, including agriculture and construction, that account for three million jobs in the U.S. They are also used in critical government activities, including storm warning systems, mapping, and disaster monitoring and management. LightSquared insists that new equipment can reduce interference to high-precision GPS devices, but completely ignores the massive retrofit and replacement effort that would be required, which would cost billions of dollars across government and private industry and require years-long certification processes in industries like aviation. “This latest filing simply recycles the litany of inaccurate and self-serving claims that LightSquared has made in its ongoing effort to deny its obligation to avoid harmful interference to millions of government and private GPS users. The filing entirely ignores the critical points relevant to its proposal to change the use of the mobile satellite band. First, LightSquared and its predecessors have always been prohibited from interfering with GPS. Second, prior FCC decisions did not authorize the operation of a nationwide terrestrial broadband network in any way shape or form, LightSquared’s attempts to cherry pick irrelevant pieces of FCC decisions notwithstanding. In fact, the FCC repeatedly said that LightSquared’s predecessors would not be allowed to provide terrestrial-only service. Third, LightSquared never paid for full terrestrial rights to use its spectrum as required by law, and so cannot now claim superior rights to exploit its spectrum to the detriment of other authorized spectrum uses like GPS. Any ‘agreement’ by the commercial GPS industry to accommodate limited ancillary operations in LightSquared’s spectrum was made within this basic framework, and is not relevant to LightSquared’s current proposal. Given this basic framework, the suggestion that GPS manufacturers should have designed their equipment to accommodate a prohibited spectrum use is completely meritless. “In its January 2011 order, the Commission made clear that LightSquared would not be permitted to commence operations until it had demonstrated that it would not interfere with GPS. LightSquared did not challenge this condition at the time, and has to live up to it. There is overwhelming technical evidence – the most recent of which was released by the Government just last week – that this condition has not been satisfied." Location-aware phones are ushering in a new generation of value added apps and services. Location Based Services (LBS) allow users to share their location with friends and loved ones, find out about nearby shopping specials, or even leave virtual 'post-it notes' to remind you of something when you arrive at work or home. A recent episode of Tech News Today highlighted how banks can use LOC-Aid's (pronounced loke-aid) services for fraud prevention. Click here to watch the segment of Tech News Today Episode 390 where host Tom Merritt explains how LOC-Aid can turn your phone into a tool to combat financial fraud. LOC-Aid is the leading Location as a Service (LaaS) provider in the United States and Canada, with the ability to locate any smartphone or feature phone using only a 10 digit phone number. Don't worry - phones can only be located once the use has explicitly opted-in, and users may opt-out at any time. Locate your own phone using LOC-Aid's free demo. Banks and financial institutions are increasing allowing customers use their mobile phone's location for added banking security. For example, a bank can locate the phone of a customer attempting to make a withdrawal to verify that the phone (and hence the customer) is near the ATM. If the phone is not near the ATM, the bank can take further action to verify the customer's identity. Full Disclosure: I have consulted for LOC-Aid in the past.